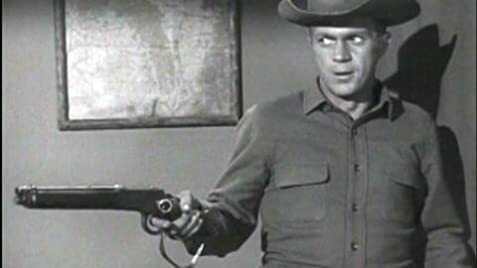 The Mare's Leg weapon carried by Josh Randall (Steve McQueen) is a cut down Winchester model 1892 carbine in 44-40 caliber, but the bullets in his cartridge belt are 45-70 caliber rounds used in the larger, more powerful rifles of the day. The producers wanted to use the 45-70s because they were more visually impressive than the relatively small, pistol sized rounds actually used in the 1892 carbine. The use of the 1892 carbine is itself an anachronism as the series is set in the 1870s.